Yasuyuki Ueno is Vice President of TE Connectivity, the world leader in connectivity and sensor solutions and associated manufacturing technologies for the automotive industry. Mr. Ueno also serves as President of Tyco Electronics Japan G.K., the firm’s Japanese operations. Since joining AMP in 1983, he has focused on the automotive market, and successfully taken on increasingly important sales and management responsibilities to reach his current position. When Mr. Ueno started his career, Japan’s automotive industry had been facing the trade friction issues with the United States. Japan’s automotive manufacturers were encouraged to commence local car production as well as procurement of components within the U.S. The car manufacturer, of which he was assigned to be in charge, was not an exception. Shifting production of Japan designed products to the U.S. was considered as an unrealistic action at that time. Changing the traditional thoughts, Mr. Ueno played an important role in making that happen. The local production of the ECU connectors became the foundation of TE’s automotive businesses in the U.S. and brought series of successes thereafter. His keen knowledge of the Japanese and world automotive markets has contributed significantly to the Automotive Division’s growing success in the region. Notable achievement among his accomplishments is Tyco Electronics’ successful penetration into the Japanese multinational auto makers. Tyco Electronics Japan represents TE Connectivity, the global manufacturer of electronic components, in Japan. In July of 1957, AMP Japan Limited was established as a Japanese subsidiary. Operations started with our main office in Tokyo's Minato-ku and our Kawasaki factory in Kanagawa. In September of 2009, Tyco Electronics' four Japanese affiliates merged to form Tyco Electronics Japan G.K. In March 2011, Tyco Electronics became TE Connectivity and this brand is being used globally. 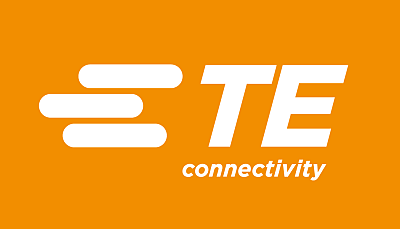 TE Connectivity (NYSE: TEL) is a $12 billion global technology leader. Our connectivity and sensor solutions are essential in today’s increasingly connected world. We collaborate with engineers to transform their concepts into creations – redefining what’s possible using intelligent, efficient and high-performing TE products and solutions proven in harsh environments. Our 72,000 people, including 7,000 engineers, partner with customers in over 150 countries across a wide range of industries. We believe EVERY CONNECTION COUNTS – www.TE.com. Tyco Electronics Japan established fast and efficient production, superior technical development, and global networks with an array of products that include the world's best connectors. Our full-line policy can handle the needs of automotive, industrial, computer, home appliances, IT, medical, aerospace and other industries. Besides connectors, we are expanding globally as we use resources efficiently to provide turnkey proposals comprising cable assemblies, relays, sensors, antennas, and circuit protection devices. We work with customers through our Automotive Japan operations providing everything from product development to after sales services to create the car of the future. Leveraging the full potential of electronics, we build reliable products to support ecology, safety, comfort, and globalization to meet the rigorous quality standards in the auto industry. We produce extremely durable non-contact sensors, high-capacity optical inter-connectors, as well as high voltage-current I/O connectors for electric cars and for harsh vibrating, wet, hot environments. Our lineup satisfies customer demand with integrated connectors and cases that make auto computers thinner and lighter. Waterproof I/O connector series with ultra-fine wires for high-density mounting in compact lightweight auto computers. We are developing a lineup of waterproof, shielded, high-voltage connectors according to the current they use. Fast high-capacity IT connectors support faster higher capacity for on-board multi-media equipment. Durable non-contact positioning sensors are reliable and accurate. Strong heat-shrink tubing excels at strengthening, bundling, insulating, and waterproofing wire-harness connectors.